Why? – Because we can! 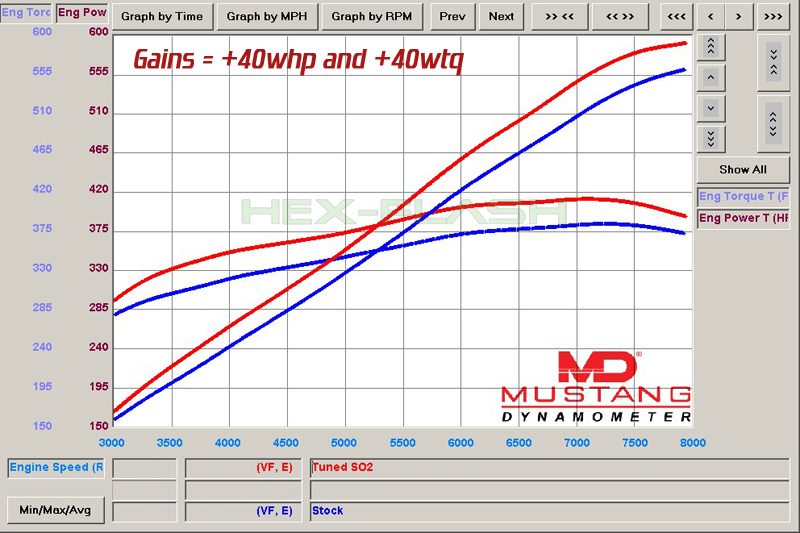 Users of HEX Tuning Performance Software can easily switch between Stock & Performance software using the HEX Tuning Programming Tool without the need to revisit their local tuner. The entire process takes only minutes and produces generous POWER gains. At each stage the power level in engineered to provide increased performance across the entire rev range by optimizing ignition timing, boost pressure, cam timing, throttle maps and many other calibration tables within the ECU to provide absolute functional synchronicity.